George Mason, future patriot, spent part of his childhood in Stafford County. His father died by drowning when the boy was very young, so he sometimes stayed with relatives, including his uncle, John Mercer who lived at Marlborough Point. His uncle was a lawyer and landowner. He had a large library for the time—more than 1,500 books—and 11-year-old George enjoyed the library, including law commentaries his uncle had written. 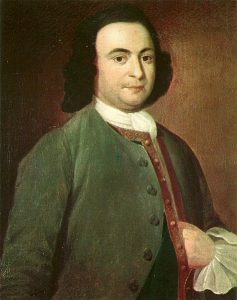 After studying at a private school in Maryland and with tutors (including his uncle), George Mason took control of his family’s lands. He was the second largest landowner in Fairfax County—the largest being George Washington. When Washington went to serve as head of the Continental Army, George Mason took his place in the Virginia legislature. As the Revolution got underway in 1776, he attended the Virginia Convention and drafted the Virginia Declaration of Rights—an important document that inspired the later Bill of Rights that was attached to the Constitution. Without certain guaranteed rights, George Mason doubted the Constitution did enough to make sure the new country would stay on a good course and be protected from too much central government. He also drafted Virginia’s first constitution. George Mason was one of many trying to change his world in 1776. Section 16 of the Virginia Declaration, for example, is based on the practice that, in colonial Virginia, there was only one official religion—the Church of England—and Baptists, Methodists, Catholics, Presbyterians, and others might be fined or thrown in jail depending on how they differed in their way of worship from the official church. George Mason, along with other Virginians, wanted to change that. Additionally, local office holders in Virginia (such as sheriffs) were not elected—they were chosen by their powerful friends within the legislature, and they were able to make a good profit in their office and share those profits with their friends. The system was prone to corruption. It did not represent the will of the people who, according to Mason, had the right to the enjoyment of life and liberty, with the means of acquiring and possessing property, and pursuing and obtaining happiness and safety. A DECLARATION OF RIGHTS made by the representatives of the good people of Virginia, assembled in full and free convention which rights do pertain to them and their posterity, as the basis and foundation of government. Although CRRL has no biographies on George Mason specifically written for young people, we do have several that are available in our adult collection. Check these databases from your home computer for high-quality articles on George Mason and the Virginia Declaration of Rights: Biography in Context, Encyclopaedia Britannica (kids’ or adult version), Kids InfoBits, and Explora / Explora Middle School. For more advanced articles, try the JSTOR database. George Mason’s part in creating our form of government has been honored with a statue and exhibit in Washington, D.C. The school of law at the university that is named for him has some information on why he is considered to be a very important patriot. 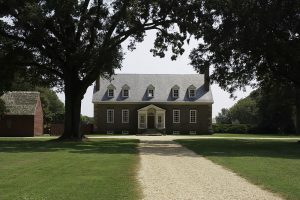 Gunston Hall, the impressive Georgian house owned and built by Mason is open for tours to the public. The website has much useful information, including details on his views about slavery. He thought it a terrible institution and wanted the slave trade stopped…but he did not free his own slaves. The Library of Virginia’s online exhibit has information on Mason’s public and private life. It also has a section on Virginia’s debate over the ratification of the Constitution.